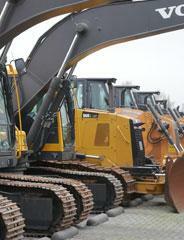 Your worldwide supplier for heavy construction and mining equipment! 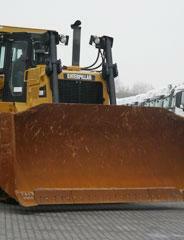 New and used heavy machinery and construction equipment, worldwide delivery! Do you want us to sell your machinery for you? For this we have Sales Manager, read more about Sales Manager and how it works by clicking the button below. If you're looking to sell directly to us, or if you want to trade-in your machinery. We're always interested to buy your machinery. Feel free to contact us by telephone, email, chat, whatsapp, or facebook messenger and we'll get back to you. Used machinery and construction equipment BAS Machinery is the real specialist when it comes to both new and used heavy machinery, construction equipment, and material handling equipment. With us, you are at the right place to purchase machinery of one of the top brands globally: Caterpillar, Volvo, Liebherr, Atlas-Copco, Komatsu, Hyundai, JCB, Terex, Manitou and many more. Every brand has its own strengths and specialties when compared to other brands. Buying your machinery and construction equipment at BAS Machinery will provide you with a great return on your investment. Our machines are sold to over 150 different countries. Therefore, all used machinery in stock are available in all thinkable years, amount of operation hours and prices! Machinery leasing On our website we display the leasing price for machines which are available for lease, please look for the text ‘Lease starting at’. Whenever that text is visible, it’s possible to lease the machine. Leasing machinery can quickly help you accelerate your business by reducing your upfront investment. It is possible that a piece of machinery is priced too high for your budget to purchase outright. In that case, you can still purchase the machine by signing a lease contract and through financing the machinery. Leasing is an extra service of BAS Machinery and we are happy to help you find the financing or leasing option which suits your needs the best. 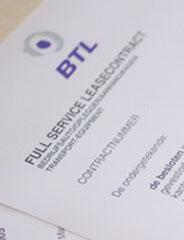 Apply for a lease offer and see what BAS Machinery can offer you. Trade in or sell your machinery You can trade in, sell or part-exchange your used machinery. BAS Machinery can always help you as we are interested in purchasing machinery of all conditions, years, brands, models, and amount of operating hours. We are confident that we can off you a fair price for your machinery. Because of our experience in selling and buying machines in over 150 countries we know very well what a fair international market price is for your machine. If you are interested in selling your machine to us we can pick it up free of charge if the machine is within an acceptable distance of us. Dropping off the machinery in Veghel is also possible. We'll take care of all the necessary paperwork so you won't have to!